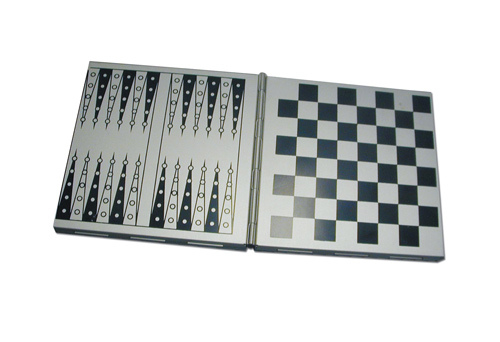 Magnetic 3-in-1 Metal Case Chess, Checkers & Backgammon Set. Item size: H 8 1/4¨ x W 4 1/4" Imprint area: H 1/4" x W 1 1/4" 100 pcs/40 lbs. Engraving also available. Carton Size: 11" x 17" x 11"